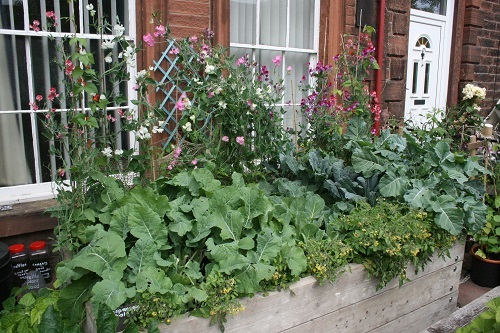 PACT received funding from Eden District Council's Community Fund to create raised beds for growing vegetables in front of the Salvation Army building in Hunter Lane, Penrith, with donations in kind gratefully received from Metcalfes, B&Q and the Garden of Eden nursery - and very welcome financial donations received from the public at the PACT Stone Soup day in January 2013. 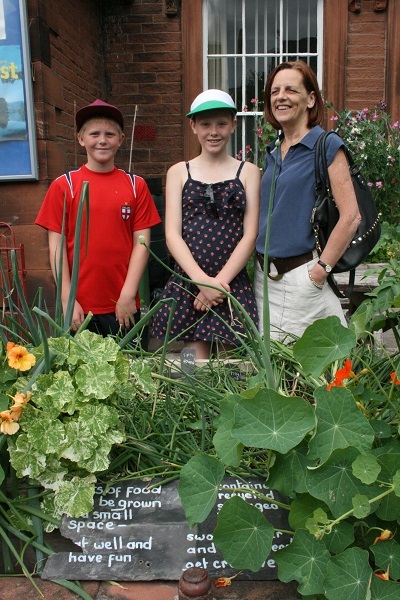 This planting project is aimed at encouraging an awareness of how and what we can grow in Penrith and Eden. 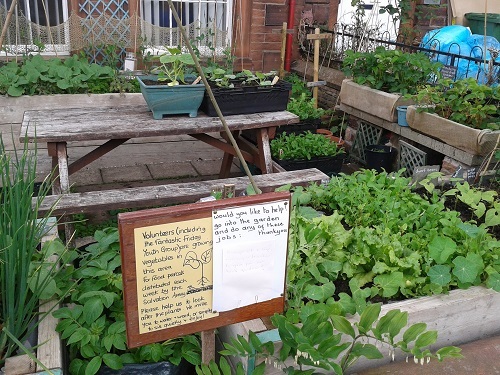 It deliberately uses highly visible land in front of the Salvation Army, and will demonstrate that food, especially vegetables and fruit, can be grown in relatively small areas. It is also a response to the increasing need to offer quality food parcels to the more vulnerable in our community. Finally, it builds on the success of other PACT growing projects that helped Penrith win two Cumbria in Bloom awards in 2012. 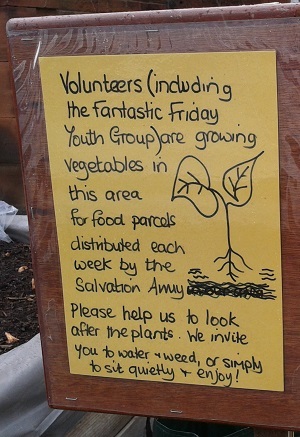 Community growing projects offer an opportunity to learn new skills and make new friendships. It often empowers people to take charge of their own lifestyle in terms of what they eat and how they exercise. 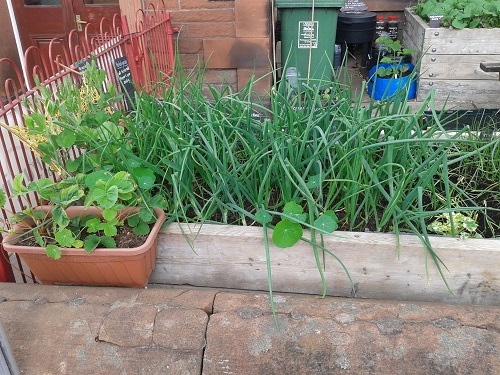 The project will clear part of the front of the Salvation Army and build raised beds so that food can be grown to be distributed in food parcels to those in need or used by the local community. 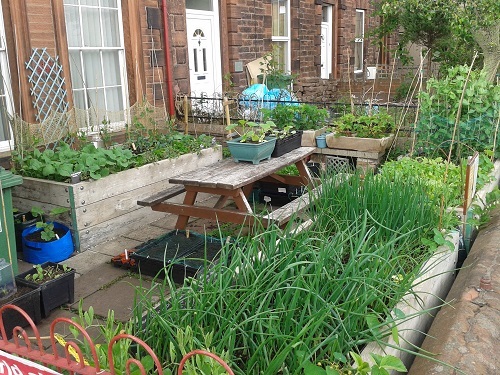 Many of the houses in this area have small gardens and it is hoped that by giving away surplus plants that this visual example will encourage more local home growing. 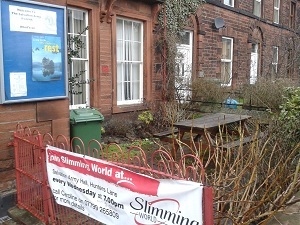 It is a highly visible site on a popular route into the town centre and will be a talking point within the local community. It will also be a hands on learning resource for young people. Working with volunteers from the community, the Probation Service, Youth Workers from Inspira and Eden Housing Association, the young people who attend the Youth Group here on Fridays will construct, plant and maintain the beds. The project will start once the funding is in place. The beds will be built in February and March 2013, young people will research what will grow with help from local University students and a local nursery. 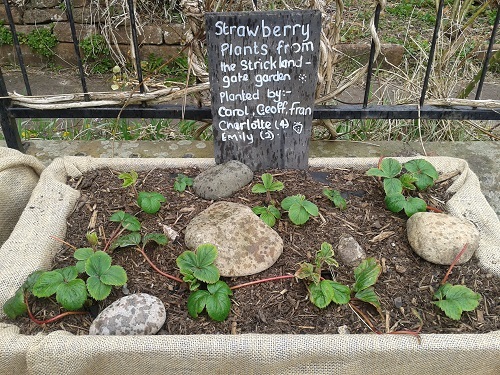 Having planned the planting, they will then plant up the beds and throughout the year learn how to care for and pick the resultant crop. The local community will be encouraged to take an interest in this project, support and assist with the building stages and maintenance. A Community event will be planned once it is in production to ‘show off’ what can be grown in a confined space. The new beds will be owned by the Salvation Army. 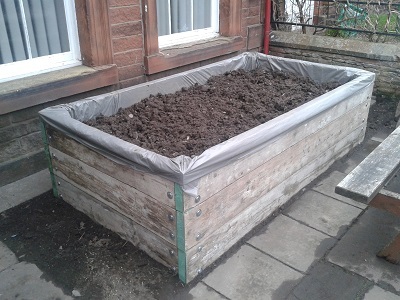 The tools and gloves will be the start of a ‘bank’ for use in this and other community growing projects run by PACT. Copyright © 2019 Penrith Action for Community Transition Limited (PACT). Registered in England as a non-profit Community Benefit Society. Registration No. 31972R. 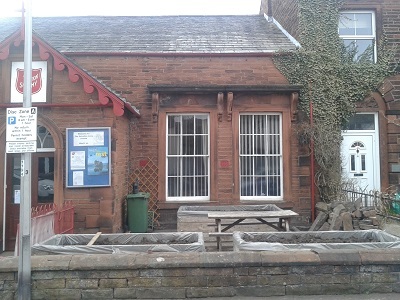 Registered office: 68 Arthur Street, Penrith CA11 7TX.